Italy has long been the favourite holiday destination for many nations. With beautiful beaches, stunning scenery and gourmet gastronomy, it is a country with something for everyone. Indeed its position as a top-ranking holiday location has been doubly confirmed of late. First, data from The World Bank, which examined almost every country across the globe, placed Italy as the fifth most popular world tourist destination. New figures from Eurostat then placed Italy as the joint second (tied with France) European country for tourism. "Despite the economic malaise, Knight Frank's Italian team agreed a record number of sales in 2012/13, up by 50% year-on-year." To those familiar with Italy, the data will come as no surprise. It is a country of many faces, from the bustle of the big cities with their ancient architecture, to the refreshing simplicity of rural life in an idyllic setting. Of course the balmy climate - a key factor in many visitors' choice of holiday destination - also adds to Italy's charms. 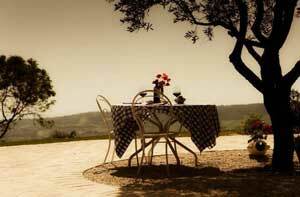 Buying a second home in Italy has become increasingly attractive to foreign buyers. According to data from the Scenari Immobiliari research institute, 2012 saw an increase of 14% in second home sales to overseas buyers, with sales totalling €2.1 billion. The majority of buyers (almost 40%) were German, while 18% were British and 13% Russian. This mix of foreign buyers is supported by new flights to many of Italy's airports, with Russia's Sheremetyevo International Airport recently announcing its summer flight schedule, which includes flights to a range of Italian airports. Italy's Ancona airport is attracting particular interest, with Montenegro Airlines operating charters there during the summer months and Darwin Airline beginning four daily flights from Ancona to Rome from June 2013 in a code share with Alitalia. Flights to Ancona also operate from Albania, Germany, Belgium, Egypt, England and Sweden, as well as numerous internal Italian destinations. "The owners of the fractions in our two houses - Casa Giacomo and Casa Leopardi - are from a variety of countries. We have Swiss, Italian, Scottish, Irish, English, American and French owners at present. The fact that Le Marche can be accessed from so many places is an important factor for those looking to buy here. 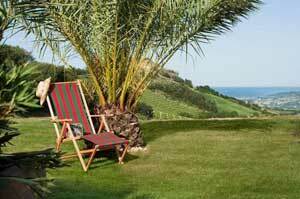 Of course, the idyllic Italian rural lifestyle and endless summer sunshine also play their part!" Casa Leopardi (the only property with fractions still available) is a five bedroom, five bathroom 'home away from home' that has been sympathetically restored from the land's original tumbledown farmhouse. It shares the five acre estate, which comes complete with vineyards, a lavender plantation, olive groves and a truffle orchard, with Casa Giacomo and nothing more, allowing room for plenty of spectacular panoramic views of the nearby Adriatic Sea and the distant Sibillini Mountains. In addition to a private swimming pool and use of the estate's all-weather tennis and basketballs courts, Casa Leopardi's owners benefit from access to some of Italy's prettiest stretches of sand, with three blue flag beaches within 10 km on the property. An abundance of restaurants and shops selling fresh, local produce, both at the beaches and in the nearby town of Montefiore dell'Aso, provide the perfect setting for a range of relaxed dining options. 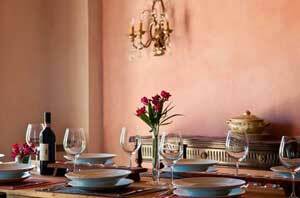 Casa Leopardi itself is a delightful mix of traditional craftsmanship and contemporary, luxury living. The spacious, open plan rooms feature brick archways, beamed and vaulted ceilings and terracotta tiled floors, in authentic Italian style, while interior designer Dawn has maximised the balance of light and space in every room and filled the house with unique touches.